Dr Phil is fourth on the Forbes World's Highest Paid Celebrity List of 2016. 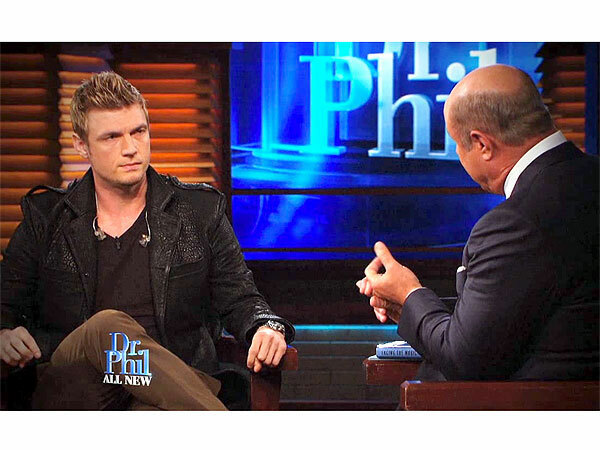 Dr Phil hails form Vinita Oklahoma and in 1975 he graduated with a BA in Psychology from Midwestern State University. I first came across Dr Phil on the Oprah Winfrey Show many years ago where he would help people by providing relationship and life strategy expertise. Dr Phil is a savvy businessman, tv personality and psychologist. He has a daytime show and is an executive producer on the television programme called The Doctors. McGraw has also launched the Doctor On Demand app, which connects users with a network of psychologists. Forbes has estimated that Dr Phil, aged 65 has earned an estimated $88 million in 2016 which by many people's standards is alot of money. So we know about McGraw's financial wealth but what about his nutritional wealth? This article is the fourth in the YouRCooK Nutrition Habits series which looks at what the top 100 highest paid celebrities of 2016 like to eat. Over the course of the remaining 96 days, I will somehow explore these celebrities nutrition habits and see if there is a link between high earnings and good nutrition. There probably isn't a correlation and the natural conclusion would be that the reason that these 'celebs' are so wealthy is simply due to their profession or the particular talent that they have and the hard work they have put into there career. Therefore, what they do and what they eat and drink is probably immaterial to their bank balances. However, irrespective of this assumption, and as any competent researcher would tell you, it is necessary to investigate whether the premise has any validity or not and so far the evidence gathered has not proved or disproved a link between great wealth and great nutrition habits. But there are another 96 celebrities to make my way through and so a concrete yes, no or maybe cannot be stated as yet. I will also extend the Nutrition Habits series to Sports Champions and other successful people. The Highly Effective Nutrition Habits of ... can continue indefinitely at this rate and I hope I will be able to share with you unique and interesting insights about whether effective nutrition habits can assist in propelling and and fueling you to live a 'successful' life. The interpretation of what a 'successful' life is of course different for everyone. I will share what I believe to be a successful life in another blog post. I will aim to contact each individual celebrity/their agent on the Forbes 2016 Highest Paid Celebrity list directly and ask them about their nutrition habits but whilst I am awaiting a response and of course its quite unlikely I will receive any, most of this information will be sourced online from a range of websites and social media platforms. I will do my best to ensure the information presented is relatively accurate but do not presume it is 100% factually correct because the quality of the procured data is only as good as the information source. So what food that does Dr.Phil eat? Well Dr Phil values the importance of a balanced diet and published a book called,The 20/20 Diet: Turn Your Weight Loss Vision into Reality in 2014. This is a follow up book to Dr Phil’s initial weight management book, The Ultimate Weight Solution. McGraw has also released several cookbooks. He decided to write these books due to counseling people who battled weight and obesity issues and Dr. Phil believed that he could widely address this problem in books through a behavioral and nutritional approach. In the 20/20 Diet book, Dr Phil asserts that eating 20 specific power foods that take a lot of energy to break down, which may increase your body's calorie burn rate and keep you fuller for longer. It has been reported that this weight-loss plan created by Dr. Phil was the top trending diet search on Google in 2015. McGraw has also had his own line of nutrition products. So we know Dr Phil's approach and nutrition philosophy but does he practice what he preach? Well I found this clip from the Dr Phil show where his wife, Robin extols the virtues of ordering meal kits from Blue Apron (at around 00:55 seconds of the video). Maybe they regularly order fresh ingredients from this popular meal kit delivery service. On a food network episode, the McGraw's shared recipes form his birthday celebrations which included bbq appetisers and steaks. There is not information online but his nutrition habits but if Dr Phil follows his own nutrition practices then his numerous books should clearly show you what foods he is most likely to eat. On day 4, we have briefly covered Dr Phil's nutrition philosophy and tomorrow, footballer Cristiano Ronaldo will feature on www.your-cook.com/blog because he also charted a respectable 4th on the Forbes 2016 World's Highest Paid Celebrity list. From today's glance into the possible eating habits of Dr Phil, we have not unearthed much about his his personal food preferences but we have learnt what he advises others to consume. So once again the link between financial health and nutrition health cannot be sufficiently analysed, however tomorrow they may be hope as we know that optimum nutrition is an essential part of an athlete's life and maybe one day I will receive accurate nutrition information firsthand but until such a time as this, you will have to make do with my synopsis.